This year I am planning to be way more intentional. Less mindless TV and facebook gaming, more making, learning, and blogging. It is so easy to fall into a habit of coming home from work, doing something about dinner and settling in on the couch for some mindless relaxation. I am not entirely opposed to mindless relaxation–sometimes that is so healing–I just don’t want it to be the default mode. With that in mind, here are some goals for the year. This is sort of a first pass on the goals. I would like to develop a longer, more detailed list, like the 52 Things in 52 weeks at Kincavel Korner, but I am not ready to dive directly into that list. I am trying to put something quantifiable on each goal, because leaving things too open-ended is just a setup for procrastination, and then I can flesh it out into 52 items. Learn to use the sewing machine. My mother gave me a basic sewing machine for Christmas in 2012, at my request. Since that time, I went out and bought lots of supplies for sewing and did about 6 inches of stitches just to get a start on learning to use it, but I have not even started making an actual project. Luckily, my daughter knows how to use the machine, and this year she is going to teach it to me. I am going to make at least one thing each month. Crochet (at least) 10 blankets. This is an easy one–I love making blankets! I completed 12 blankets last year, and I have several that are close to being done just waiting for the last bit of work to complete them. I want to include it in the goals list, though, because it is not totally implausible that I will get distracted by other things and let this slip. For the purpose of this goal, finishing a blanket counts, even if the blanket was started before the year began. Play more games with my kids. They love playing games, but I often feel too busy to sit down and play. I have been working on this the past month or so, but I want to make sure we keep it up. I’d like to play at least one game per week. Do more upcycling. I make a lot of things, but I tend to go out and buy new supplies–new yarn, new fabric, new art supplies, etc. I wouldn’t say that I never reuse things, but it is more rare than I would like. I would like to do at least one project per month that reuses something that had another use–making tshirt yarn and crocheting something, making a blanket with old blue jeans, doing something with all those jars and wine bottles that I’ve saved in my basement. Start an art journal. Technically, I have already started one, but I haven’t done very much at all–maybe 4 entries over the last year. I’d like to do at least one art journal entry per week. Blog more regularly. I am aiming for three posts per week. 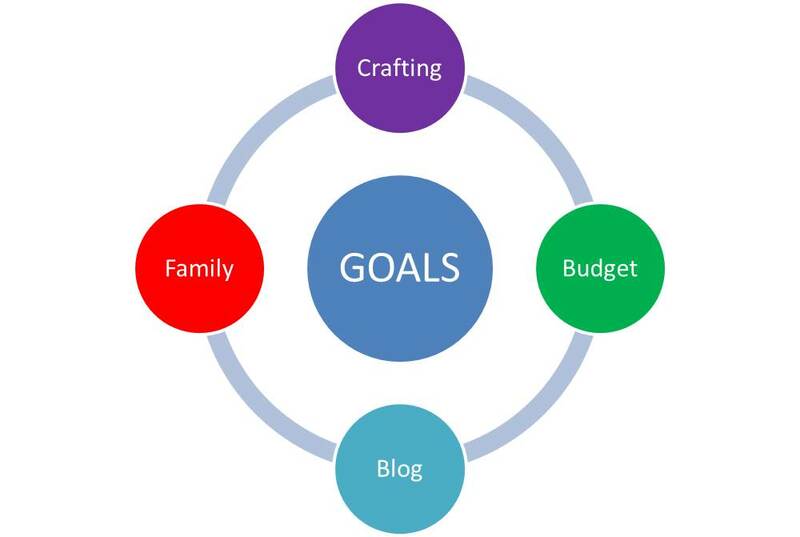 This will actually help me with my other goals, as I need to have something to post about! Get my finances under control. I don’t do bad here, but I spend more than I should, and I have a few debts I would like to get rid of, mostly related to my house and college loans. I pay my bills on time, and I don’t have creditors calling, but I would like to save more and be a bit more careful about what I spend. I don’t have a concrete goal for this one yet, but I want to have a plan by the end of January. I am deliberately using the term goals rather than resolutions here. I don’t think that resolutions are really serious things. If I were substituting a synonym for resolutions, I would use wishes rather than plans. 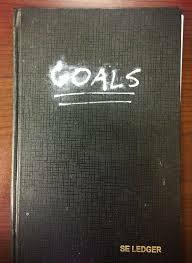 Goals are a bit more concrete–not quite plans, but a good basis for plans. I have wanted to be a writer as long as I can remember. I have vague memories of scribbling curlicue lines across a page, in ordered rows, when I was too young to think of an actual story with actual words. If you held it at arm’s length and squinted, it looked like prose. As I got older, I wrote real stories and went through a few years of angsty teen poetry writing, which mostly just made my friends roll their eyes. I took a creative writing course in college, but most of writing shifted to research papers and essays. As I moved into motherhood and professional work, my personal writing subsided even more. I did a lot of online writing, but it was emails and bulletin board posts, nothing formal. I blogged, but only sporadically. For a long time, I thought lack of confidence was my problem. I could not sit down and write because I didn’t have anything interesting to say. I would write three sentences, become convinced they were the worst examples of uninspired dreck ever written and give it up for the day, or the week, or the month or the year. Why sit down to write at all when it would just be awful? Reading good literature made it even worse. I would be so inspired to write something of my own, but convinced that everyone had already used up all the good ideas. When there is already an Ursula K. Le Guin or a Chris Moriarty or a Rachel Swirsky or a Charles Stross in the world writing, why should I bother? But then, I went to the doctor and got some magic pills effective medication to treat my lifelong issues with attention, and I discovered that focus was really the biggest problem. When I sit down at the computer and write anything at all, it gets easier. The blank page is the hardest part. I also let go of the thought that anything I write will be any good at first, and realized that is not a problem. That is what revision is for! I began to get more serious about writing. I followed authors that I like on twitter and started reading blogs directed at writers, to get in the right frame of mind. I realized that writers write, and I just needed to write something down, anything at all. I started writing more on my blog, just to get myself going. I began writing at http://www.gamingangels.com, just to have a weekly goal. When I would have random ideas of things I would like to write about during the day, I made a note for later, and I went back and read those notes. I picked a character and wrote two random sentences to start my fiction writing going. I discovered something powerful through all of this. Once I started writing, it got easier. Not that writing itself is easy, but my mindset changed, and it became easier to actually sit down and write. Now, when I read interesting news articles, I think about how the story might affect my fictional world, or how to express my reaction coherently in a blog post, rather than just passively taking in the information. I discovered that having a writing habit feeds itself. I miss writing when I am doing other things, and I do *something* writing related every day, even if it is just making a list of questions I want to answer. In the traditional sense, I am by no means a professional writer. No one pays me for my writing (unless you count emails at work, which I don’t really). I did find this article interesting, though. By the definition that Kirkland sets out, I am getting close to being a professional, even though there is no pay on the horizon. I write every day, and I am getting closer to a real writing schedule. I am not yet at the point where I have a regular routine to my writing, or a word count goal, but I am getting closer. I know, that last goal is a bit wimpy. That one is the hardest for me, though, and I don’t want to intimidate myself too much. I anticpate that it will go up soon.